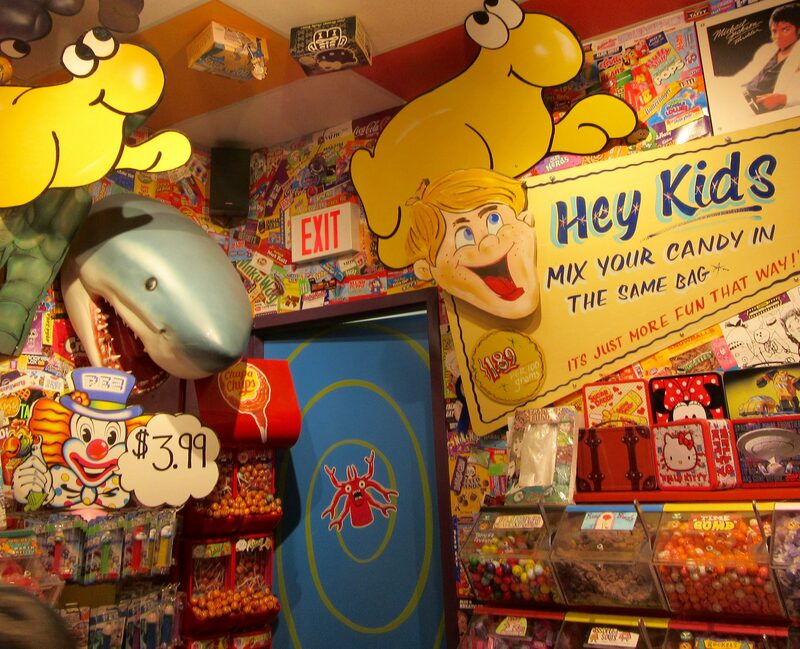 When we were walking back to our cruise ship after a lovely day in the very foggy port of St. John, New Brunswick, Canada, we passed by a store called Freak Lunchbox — which I absolutely had to check out, because Freak Lunchbox, WTF. 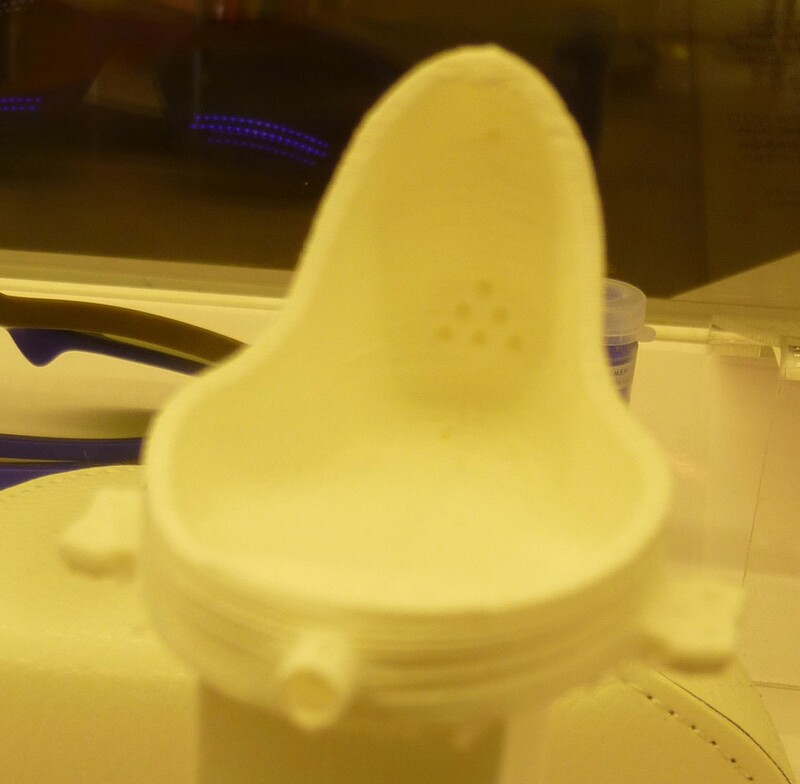 Here is a story about just one of the crazy things we saw once we entered the store. 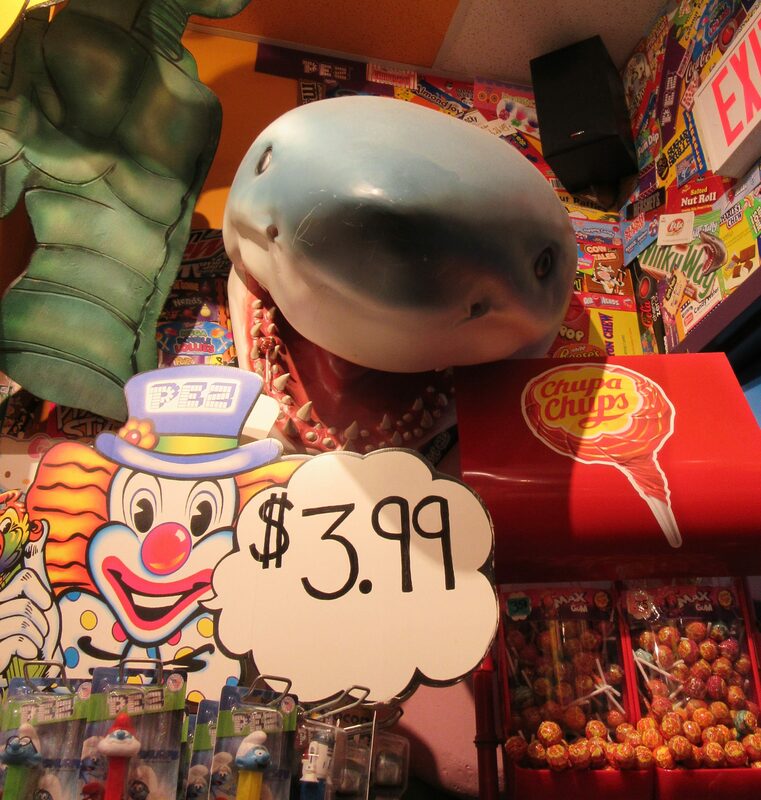 Danger: Shark Attack in the Candy Store! 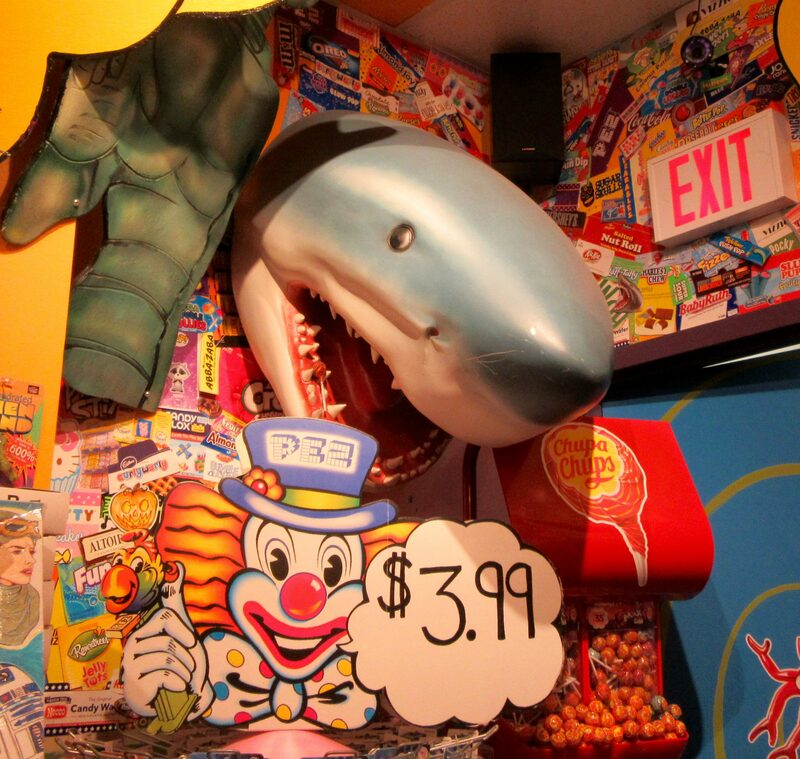 If you happen to pass a Freak Lunchbox store, please do yourself a favor and go inside, enjoy the fun and whimsical decor, and buy some candy! 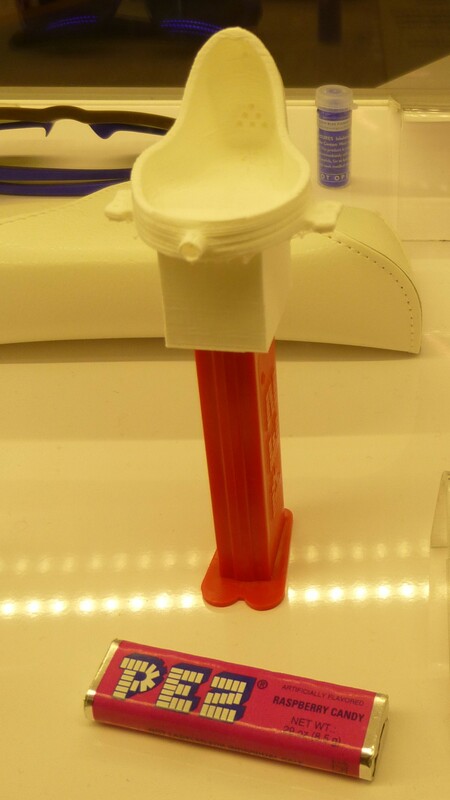 In the tradition of Marcel Duchamp’s Ready-Mades, this 3D printed Pez dispenser by British artist Tom Burtonwood (in the likeness of Duchamp’s Fountain sculpture) combines high and low, pop and populous, and art and kitsch. Available in the gift shop at the New Museum of Contemporary Art for $70, discounted to $59.50 for Members!